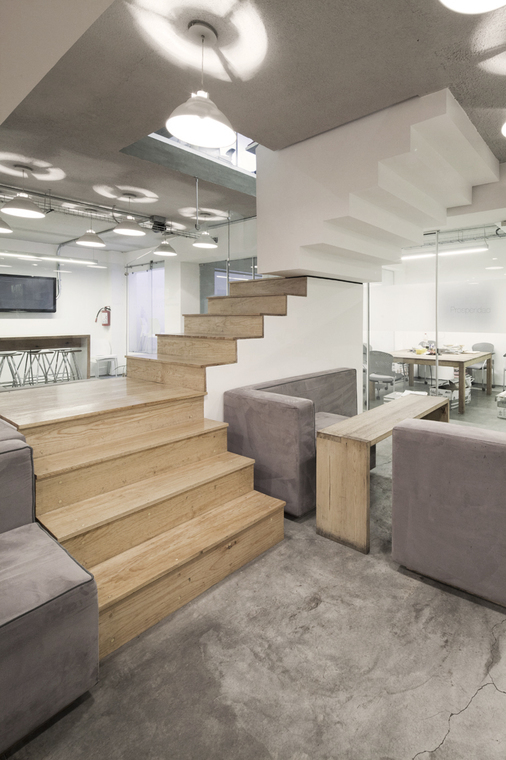 GoKo from Mexico City seized 4 floors for the new Map Marketing office connecting all levels with a main internal staircase . 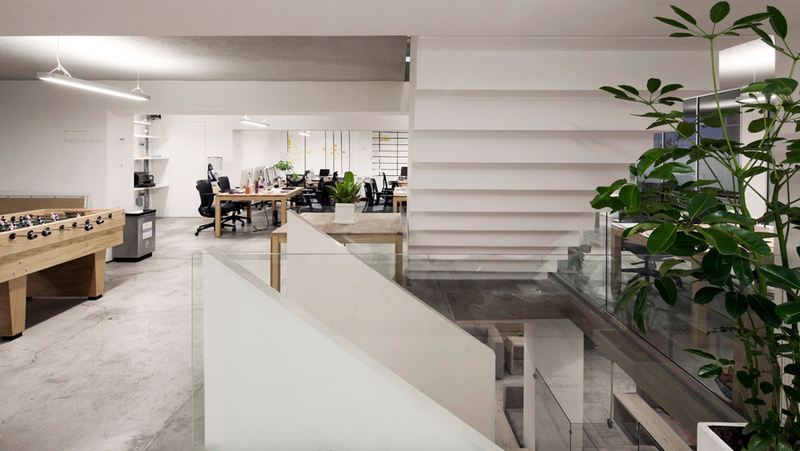 Inside, the architects drilled each level´s slabs and created a central vertical volume, as the core: a connection between all company´s levels, spaces and areas. Through this the they centralized all company´s access creating interaction between employees. Encouraging exercise that generates endorphins reflected in mood and user performance. 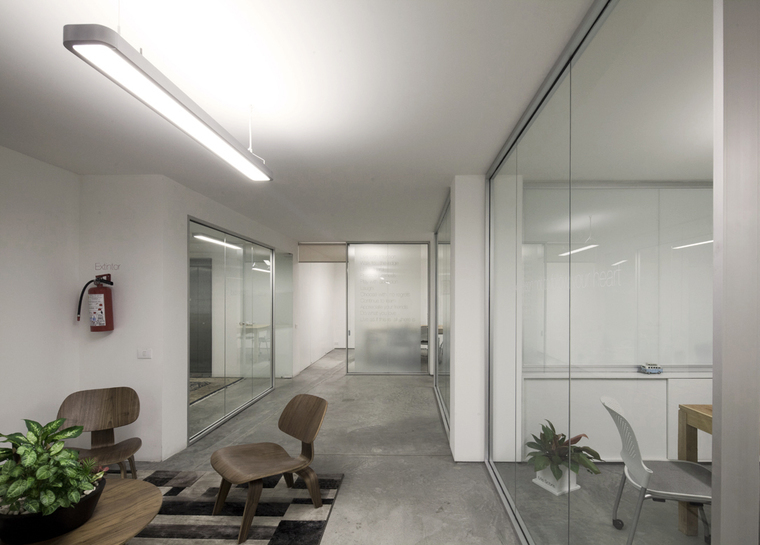 Polished concrete floors, white walls, clear glasses and the apparent slab on a light gray tone resulted in a much larger space feeling. 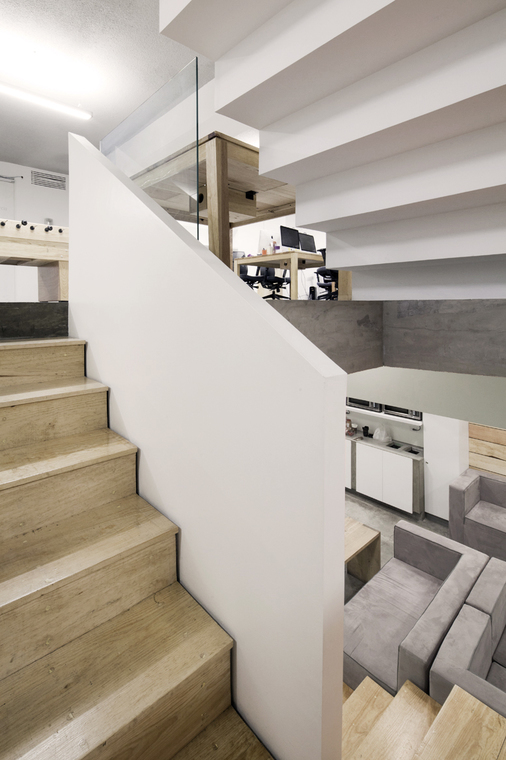 They used a series of pendant lights as the only element of indirect illumination creating ideal work light quality. As a visual key to the central staircase, GoKo created informal working areas on each level: a waiting room with lockers for each user. 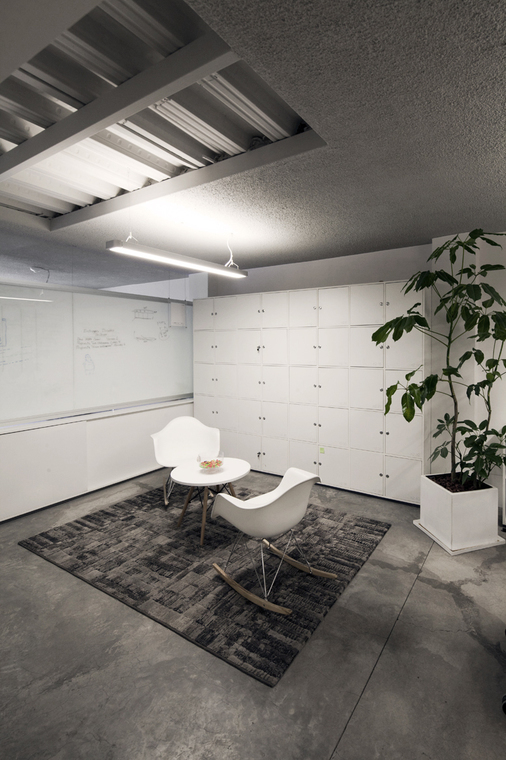 The idea of the living rooms was to create a flexible space to share ideas among employees, store their belongings in lockers or to receive a client with less formality . With a special paint, the architects took the perimeter walls as a canvas for drawing, writing and translating ideas into them. The divisions between the few office cubicles were made with two clear crystals and a white inner film in order to draw and write on both sides.